With the kids out of school, summer is a great time to make the most of the great outdoors. 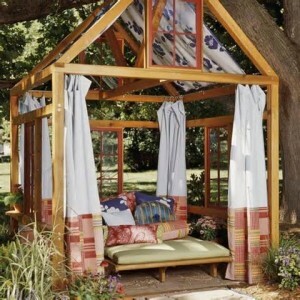 If you enjoy your yard as much as my family does, you might like some of these fun ideas from Sunset magazine to turn your backyard into a great haven for outdoor living and entertaining. Whether you have gobs of land and a wild imagination or prefer something on the simpler side, there is no end to the outdoor fun you can have in your backyard this summer. Check out these fun ideas for outdoor lighting, furniture, dining, decorating and more.